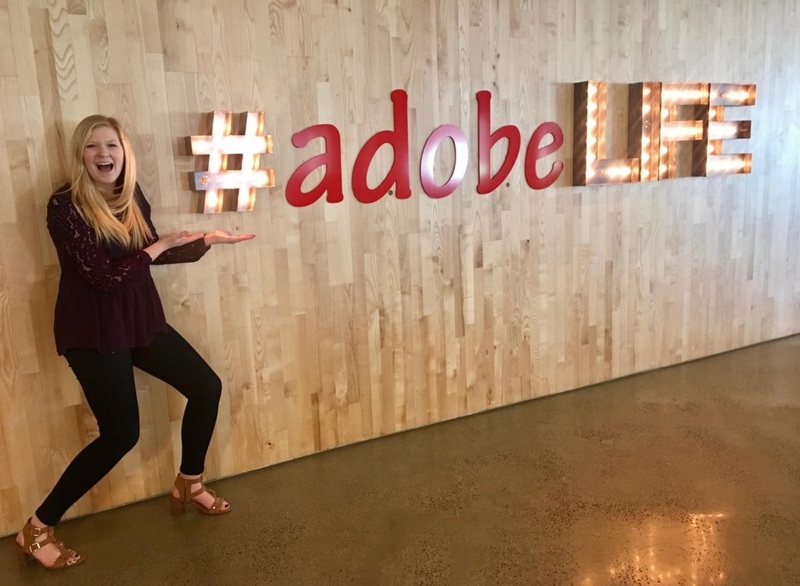 Katherine Gwaltney, an instructional student assistant at the Mihaylo Tutoring Center and a trustee for Associated Students Inc. (ASI), discovered a special vibe in the corporate culture of Adobe. “The energy at tech companies is unparalleled. There is a lot of excitement and responsibility that comes with introducing new products and getting future customers to buy in to the benefits of the product,” she says. 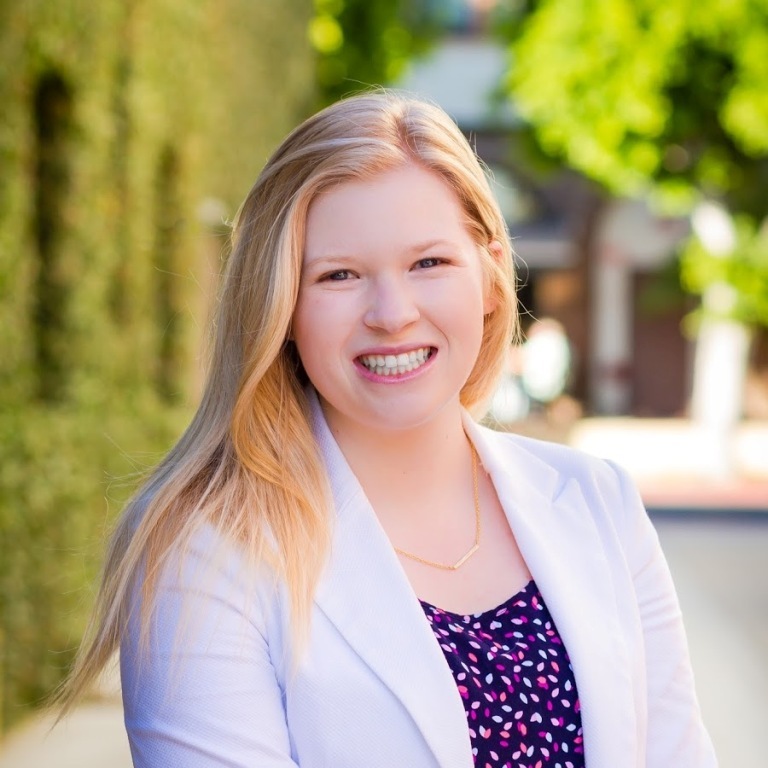 Katherine Gwaltney ’18 spent the summer in San Francisco as an inside sales intern with Adobe Systems’ Experience Cloud, which provides corporate customers with a single platform to manage their business needs and provide optimal customer service. She discusses her experience, what it’s like working in tech companies and how to maximize intern experiences. What were the duties of your Adobe internship? I worked as an inside sales intern with Adobe’s Experience Cloud, an enterprise marketing program designed for businesses that integrates data, insights and technology to improve customer experiences. I focused specifically on a strategic financial services and insurance industry team to build relationships and ultimately sell Experience Cloud solutions to large companies. Among my duties were identifying key decision-makers; reaching out to them by email, phone or social media; maintaining account partnerships; generating new reports for managing sales data and reaching the most valuable customers; qualifying leads; and engaging with account executives and my entire team to improve the sales process. I also had several weeks of education and presented often to Adobe leadership as a trial for future account interactions. What were your favorite aspects of your experience? The people I worked with were incredible! The 26 interns in my department were so motivated, genuine and intelligent and taught me a lot about myself and the business world. My managers and the entire Adobe leadership team were committed to teaching me, giving feedback and having fun at work. I was pleased that I could have a direct impact on revenue and speak with c-suite-level customers. Finally, San Francisco was such a lively and exciting city with innovation on every corner, though the weather was quite chilly. Many students dream of working in a tech company such as Adobe. What were your first impressions working at this company? What were some of the challenges and opportunities that you faced in working in such an environment? The energy at tech companies is unparalleled. There is a lot of excitement and responsibility that comes with introducing new products and getting future customers to buy in to the benefits of the product. Everyone around you has big ideas that require a lot of teamwork to execute. I loved that no two days were the same, and I worked with such a diverse group of people. I quickly discovered that to be successful at a tech company, you need to take intelligent risks, ask what your supervisors want and be comfortable with transition. It can be challenging to conceptualize technical solutions, particularly if you are not a computer science major. On the other hand, focusing on competing against yourself is very motivating and rewarding! You must also be comfortable with public metrics to evaluate performance in technology sales. To be successful, you need to keep up with market trends and know your competitors, which means you’ll need to be well-informed (I spent a half hour each day several days per week reading online articles) and genuinely excited about what tech can do to improve the lives of consumers. How do you believe this internship will impact your future? Most interns hope to work at the company that invested in them-and the same is true for me! I hope to leverage the skills and relationships I developed this summer to work at Adobe or another large tech company within inside sales or marketing. What are your tips for students who are about to start their first internship? I have received a lot of great advice over the years, but these four things particularly have had a strong impact on my intern experience. Master the interview by being yourself. Adobe was looking for me to share my personality, experience and stories authentically. Many introductory interviews are behavioral and the best thing you can be is yourself. Making sure your values connect with theirs is also important. Be the hardest working person in the room. An internship is really an extended interview. Get to work early and stay late to show you take your role seriously and be willing to put in the work while they are investing their time in your potential. There are plenty of smart people out there but differentiate yourself by your work ethic. Dress for the job you want and not the job you have. Find a role model quickly. Build relationships with everyone, but choose someone to be your mentor during your weeks at the company. Learn from them and be motivated by their success! When the time comes for your job search, they may be the one advocating for you.